Delilah Onofrey is director of Flower Power Marketing and supports Suntory Flowers' marketing efforts in North America. For 18 years she was an editor with Greenhouse Grower magazine, serving commercial flower growers. Kick off spring with Senetti! These plants are cool. In addition to thriving in lower temperatures down to 35?F, Senetti provides high impact color when we need it the most. In vivid blues, magic magentas, ultraviolets and stunning bicolors, where else can you find vibrant color early in the season? Plant Senetti with other cool companion bedding plants in early spring, such as pansies. Bred by Suntory Flowers in Japan, Senetti is a collection of pericallis hybrids, which were obtained by cross breeding members of the Compositae and Asteraceae families. Before reclassification, Senetti was known as a cineraria hybrid, but Senettis are nothing like seed-grown cineraria grown as a house plant. Their large, daisy-like flowers bloom from early spring until summer. Bloom count can be as high as 200 on a plant grown in a 10-inch pot. Senetti’s breeding began with friendship. Dr. Kiyoshi Miyazaki received a mysterious plant from a colleague. Although the blooms were small and plain pink, he saw potential in the small leaves and silver foliage to breed something new. Through crossings, he was able to create a variety with amazing vigor and long bloom period. When he cut plants back, they rebounded with a flush of new flowers. This reblooming ability combined with a wild and free plant habit was distinctly different than cineraria. 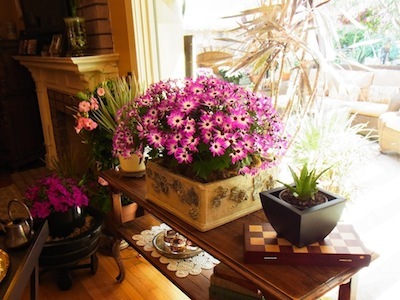 Dr. Miyazaki selected the very best plants from thousands of hybrids to introduce Senetti. The plant became immediately popular in Europe and then Japan, Australia and now the United States. 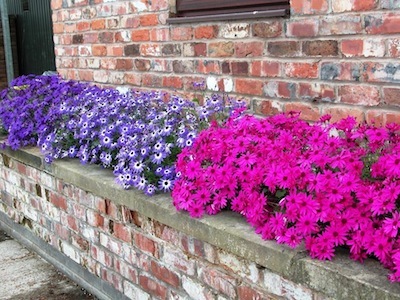 We hope Senetti becomes part of your early spring tradition. The best season for Senetti is early spring going into early summer. In climates where frost does not occur, it will safely grow through the winter months outside. Plants thrive in full sun to partial shade conditions. After blooming has finished, you can cut back the old blooms by removing 50% of the height of the plant and then repot into a larger container or into the landscape. Reblooming will start again from 3-4 weeks, provided temperatures during the day and night are kept as cool as possible. High summer temperatures (85-90°F) will stop the reblooming. 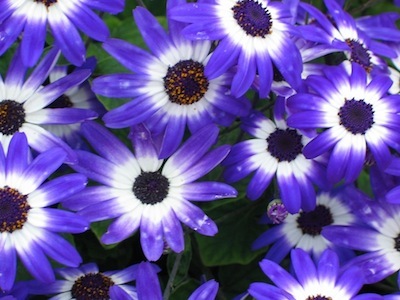 Senetti is available in four solid and four bicolor shades – Deep Blue, Blue Bicolor, Blue, Magenta, Magenta Bicolor, Violet Bicolor, Lavender and Light Blue Bicolor. A second more compact series, Baby Senetti, produces a high number of flowers on smaller plants. Baby Senetti colors include: Baby Blue, Baby Blue Bicolor, True Blue and Baby Magenta. For more information about Senetti, visit www.senetti.com.